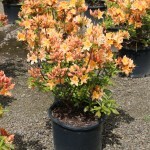 A compact, rounded, deciduous azalea with fragrant golden flowers in mid-spring. 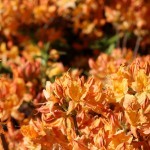 It has mildew-resistant foliage and great cold tolerance. Prefers moist, well-drained acidic soils and full sun to part shade. Introduced in 1986 by the University of Minnesota.